Canada’s high house prices and larger mortgages could make the next recession problematic, CIBC Capital Markets has warned. The report does not believe that a sharp downturn in house prices will trigger an economic downturn or that the conditions are similar to those seen before the US housing crash. This is because of the quality of the mortgages on lenders’ books. However, when a recession does come it could be made worse by the state of the housing market. 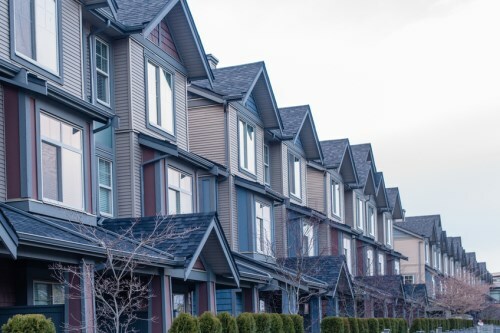 “Given larger average mortgage principals that have been needed to pay for more expensive housing, the Bank of Canada's ability to raise rates during the upswing of the cycle will be severely constrained," says Avery Shenfeld, Chief Economist, CIBC Capital Markets, who co-authored the report, Would We Fear or Cheer a House Price Correction? with senior economists Andrew Grantham and Nick Exarhos. "A two per cent rise in mortgage rates would be fairly gentle by past tightening cycles, but would raise monthly payments by roughly 25 per cent on a conventional five-year mortgage," Shenfeld added. Shenfeld believes that it would be a good idea for the Bank of Canada to begin increasing interest rates soon alongside policies to encourage more construction to help dampen rising prices and rents.